analytical procedure A comparison of financial statement amounts with an auditor's expectation. An example is to compare actual interest expense for the year (a financial statement amount) with an estimate of what that interest expense should be. The estimate can be found by multiplying a reasonable interest rate times the average balance of interest bearing debt outstanding during the year (the auditor's expectation). If actual interest expense differs significantly from the expectation, the auditor explains the difference in audit documentation. 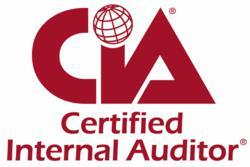 audit evidence is information used by the auditor in arriving at the conclusions on which the auditor's opinion is based. business risks are risks that could adversely affect an entity's ability to achieve its objectives and execute its strategies or from the setting of inappropriate objectives and strategies.